Two trends are coming together that may bring changes to the way chronic nerve pain is treated. Overdose deaths from prescription opioid pills are increasing dramatically, such as the epidemic in Tennessee. Meanwhile, multitudes of studies are confirming the medical benefits of cannabis, as prohibition laws steadily crumble. Well-known researchers at the B.C. Centre for Excellence in HIV/AIDS have published an editorial in the Canadian Journal of Public Health, saying that doctors are ignoring legitimate studies on the use of cannabis to treat a host of conditions. Thomas Kerr, Julio Montaner and Stephanie Lake argue that medical cannabis should be used instead of opioids for neuropathic pain, but this is being stigmatized by the fact that medical cannabis is not approved by Canadian regulators. Canadians are second to the U.S. in per capita consumption of opioids, and these government-sanctioned big pharma products are responsible for nearly half of all overdose deaths in the country. Despite the addictive and deadly effects, the U.S. Food and Drug Administration approved the use of OxyContin for children as young as 11, ensuring an early generation of pill-poppers to fuel the profits of pharmaceutical companies. Kerr cited a recent study that adds to the logic of their argument for medical cannabis over opioids. 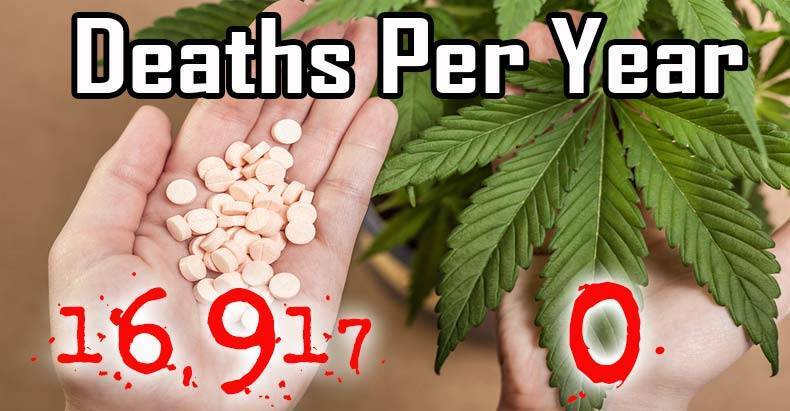 As we reported in August, U.S. states that have approved medical cannabis showed a 25% drop in opioid overdose deaths. In Canada, medical marijuana is legal (mostly through mail delivery) and the courts have recognized its therapeutic uses, but narrow-minded politicians are clinging to misinformation and paranoia. “When it comes to prescription marijuana, patients’ needs should be considered above political considerations. There could be great harm in ignoring the medical uses of marijuana,” said study co-author Dr. Julio Montaner. Kerr says the Canadian government is “misrepresenting the science,” pointing to an example where Stephen Harper said that cannabis is “infinitely worse” than tobacco. Other noted doctors are on board with the idea of using medical cannabis, but say that government is getting in the way. Charles Webb, head of the association representing B.C.’s doctors, agreed that medical marijuana may well help with those conditions described by Dr. Kerr, but he said many physicians will remain reticent to prescribe it until Health Canada comes out with guidelines on dosage, concentration and best practices for administering the drug. As more health professionals come out in support of medical cannabis to treat a variety of ailments, including chronic pain, the U.S. and Canada should reconsider their cozy relationship with big pharma that brings addiction and death in the form of prescription opioids.